Boston Police report a man was attacked and held up at gunpoint "by a group of males and a female," at Boston and Howell streets around 9:20 p.m. on Thursday. Read more. Boston Police report arresting a man they say backed into a cruiser, injuring the officer inside, and then drove right into an officer trying to get him to stop on Boston Street in Dorchester this morning. Read more. Boston Police credit EMTs for detaining one of two suspects in an early morning break in at a Boston Street convenience store. Read more. 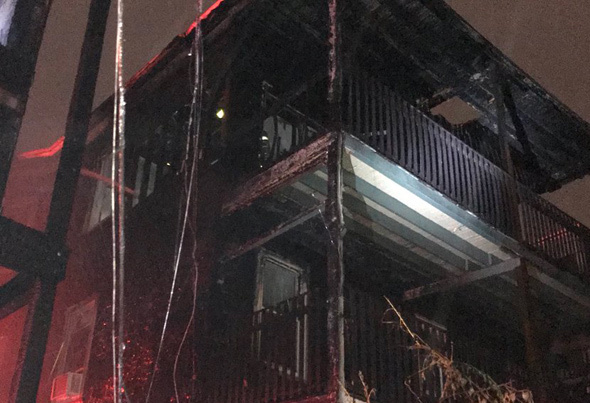 A three-alarm fire early this morning caused an estimated $1.25 million in damage to two three-deckers on Boston Street and sent one firefighter to the hospital with non-life threatening injuries, the Boston Fire Department reports. Read more. Boston Police report they are looking for a fifth man for the Oct. 17 murder of Joshua Briggs in a room at the Holiday Inn Express on Boston Street. Read more. They will however pursue a proposal for a 24/7 operation at their Edward Everett Square location at Boston Street in Dorchester.